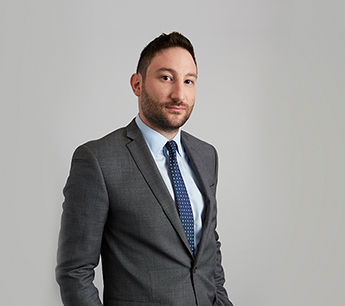 Scott Zinovoy is an Associate Director with RKF specializing in both landlord and tenant representation. He began his career with RKF in 2014 as a Canvasser and was quickly promoted to Associate. Scott has worked on behalf of several prominent landlords including SJP Properties, Macklowe Properties, GLL Real Estate Partners, Magnum Real Estate Group, Silverstein Properties, El-Ad Group, Friedland Properties and Heller Realty. His most notable transactions include leasing 48,000 SF to Parques Reunidos/Lionsgate Entertainment for their U.S. Flagship at 11 Times Square and leasing 44,000 SF to Whole Foods Market at 1 Wall Street. Currently, Scott is representing iP2 Entertainment in its national expansion, helping devise a strategic rollout for the company’s National Geographic, Mattel and Warner Bros. family entertainment concepts. Prior to joining RKF, Scott spent three years as the Operations Manager for Major Food Group, the company behind restaurants such as, The Grill, Carbone and Parm. Scott earned a Bachelor of Arts Degree in Communications and Political Science from the University of Wisconsin-Madison. He is a licensed Real Estate Salesperson in the state of New York and a member of the International Council of Shopping Centers and the Real Estate Board of New York.